I see climate-change deniers have brought out their big guns to deny the recent flooding and storms are anything to do with climate change. 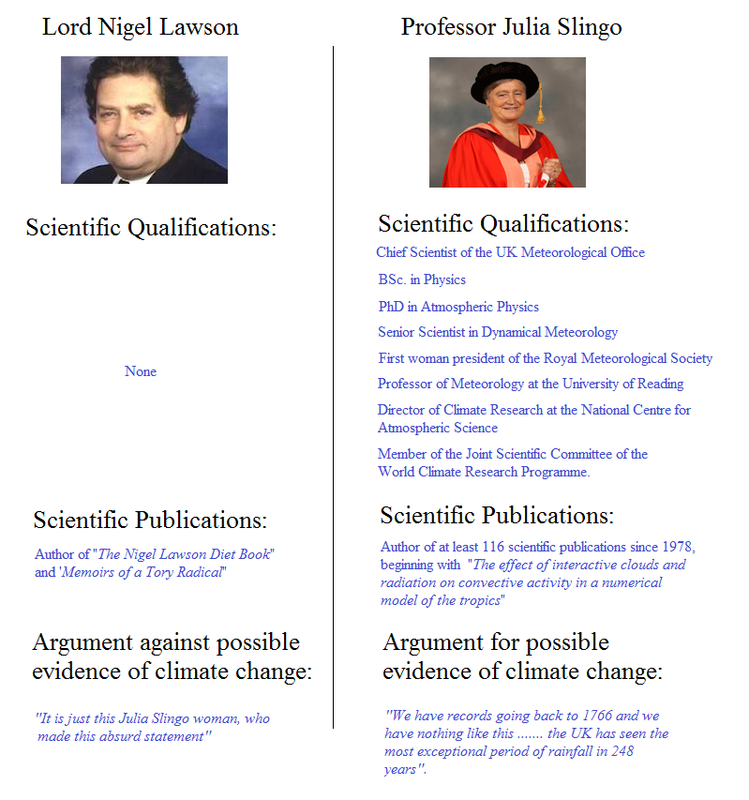 Former Thatcher chancellor Nigel Lawson went head-to-head with Met’ Office Chief Scientist Professor Julia Slingo – destroying her scientific assessments that the recent extreme weather conditions were almost certainly the result of climate change with the devastating scientific argument that she is just : “this Julia Slingo woman“. You had me at “it’s just this woman” Nigel.